The 0010-IFC with an Integral Flow Check is designed to reduce installation costs when zoning with 00® circulators. Ideal for residential or light commercial hydronic or radiant heating, hydro-air fan coils, indirect water heaters or domestic water recirculation systems. By locating the IFC inside the pump casing, a separate in-line flow check is eliminated, reducing installation costs. 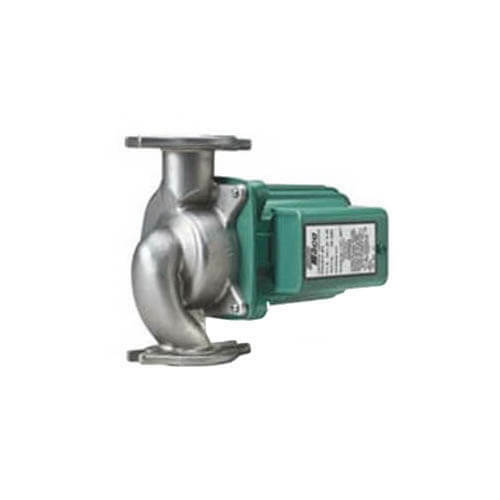 The reduced pressure drop of the IFC increases the flow performance over in-line check valves. Both the IFC and cartridge are easily accessed for service instead of replacing the entire unit. Taco's patented Priority Zoning Circulator with built-in transformer, relay, priority switch and optional IFC in one complete, compact package makes it ideal for zoning.